What sort of country is Nigeria that police authority that is meant to investigate incidents before rushing to a conclusion, will instead be dishing false information to newspaper houses without verifiable evidence? The whole world knows some significant proportion of Nigerians, especially their security personnel, are unrepentant liars. 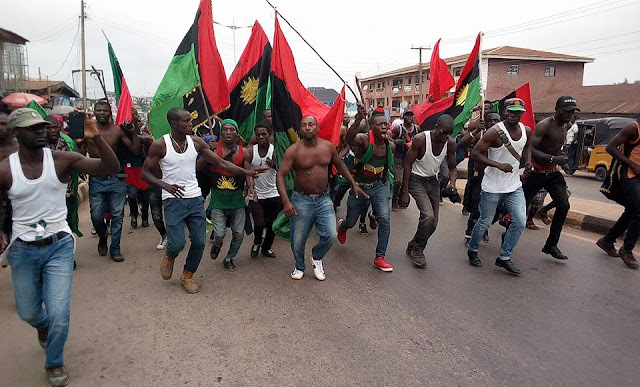 IPOB has never involved itself in any form of lawlessness and we remain committed to restoring Biafra sovereignty through a peaceful and democratic process which is referendum. Nigerian police and their army have chosen to launch numerous unprovoked attacks against IPOB which have led to the countless loss of life on the part of IPOB in the past. Nigerian government should thank their lucky stars that our leader Mazi Nnamdi Kanu is a peaceful man otherwise the whole Biafraland will be ablaze by now.